Xiaomi Mi Pad 4, the company’s latest tablet, is all set to launch on Monday, June 25. The Chinese manufacturer has already revealed several details about the upcoming tablet, alongside the Redmi 6 Pro that will also get unveiled on the same day. Now, Xiaomi has rolled out a poster confirming a key feature of the Mi Pad 4. Xiaomi has revealed that the tablet features AI face unlock technology, making it the first device of its kind in the Mi Pad series. This means Mi Pad 4 buyers will be able to unlock their devices by looking at the screen. Also, while Xiaomi has not revealed details regarding the price of the Mi Pad 4, a new report has emerged online that claims to have the leaked prices of the upcoming tablet. Separately, a tipster has also leaked the RAM and storage variants of the Xiaomi tablet. 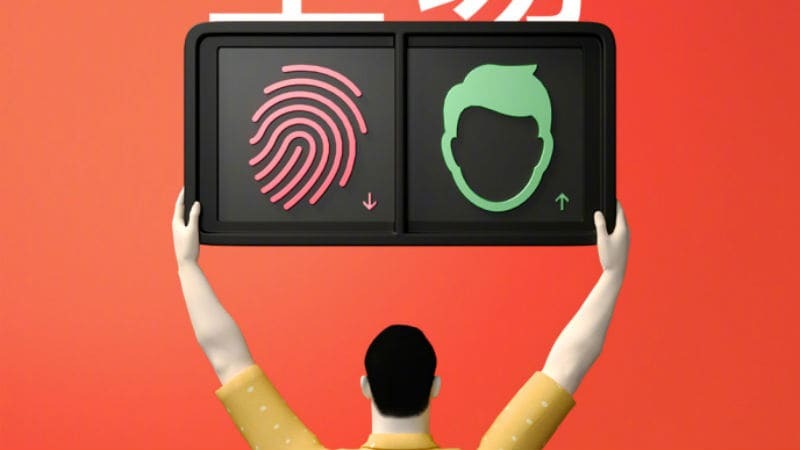 The latest poster has been published on Xiaomi’s official Weibo account, and mentions that the Xiaomi Mi Pad 4 will be equipped with facial recognition technology. The teaser also suggests that the device will not have a fingerprint scanner onboard. According to the teaser, the Mi Pad 4 tablet will leverage AI to scan, recognise, and unlock the Mi Pad 4. Smartphones like iPhone X, recently launched Oppo Find X, and Xiaomi’s own Mi 8 Explorer Edition come with 3D face recognition technology, but the Mi Pad is unlikely to introduce such an advanced functionality. There is no clarity on whether will be an infrared camera in the tablet, that helps in carrying out face unlock in low light. Coming to the pricing, as per Slashleaks, the base model of Mi Pad 4 with 4GB RAM and 64GB of inbuilt storage and will support only Wi-Fi connectivity and it will be priced at CNY 1,499 (roughly Rs. 15,600). Meanwhile, an LTE model with 6GB RAM and 128GB of inbuilt storage which will be available at CNY 1,999 (roughly Rs. 20,800). To recall, the last version of the tablet – Mi Pad 3 – was launched in April last year with a price tag at CNY 1,499 (roughly Rs. 14,100). Since aesthetically, it didn’t have many changes from the Mi Pad 2, we expect it to change this time around with the Mi Pad 4. The report also affirms previous reports that the Mi Pad 4 will sport an 8-inch full-HD display and have a Snapdragon 660 SoC. As per tipster Ishan Agarwal, the Mi Pad 4 will arrive in not one, but two Wi-Fi only models – 3GB RAM/ 32GB storage and 4GB RAM/ 64GB storage. He also claims that Xiaomi will unveil one LTE model with 4GB of RAM and 64GB of inbuilt storage. Lastly, he claims that the colour variants of the MI Pad 4 are Black and Gold. To recall, Xiaomi had recently rolled out a poster confirming more specification details of the Mi Pad 4. Confirming previous reports, the Mi Pad 4 will come with Snapdragon 660 SoC. The poster had also mentioned smart game acceleration will arrive on the Mi Pad 4. Xiaomi has already confirmed that the Mi Pad 4 will have a single rear camera setup at the back. According to a previous report that had leaked some of the specifications of the Mi Pad 4, the upcoming Mi Pad 4 is claimed to sport a 6000mAh battery. According to the camera configuration files, the Mi Pad 4 might sport a 13-megapixel OmniVision OV13855 sensor with f/2.0 aperture. On the front, there is expected to be a 5-megapixel Samsung S5K5E8 sensor with f/2.0 aperture. It is also expected to be one of the first devices to get the MIUI 10 update.